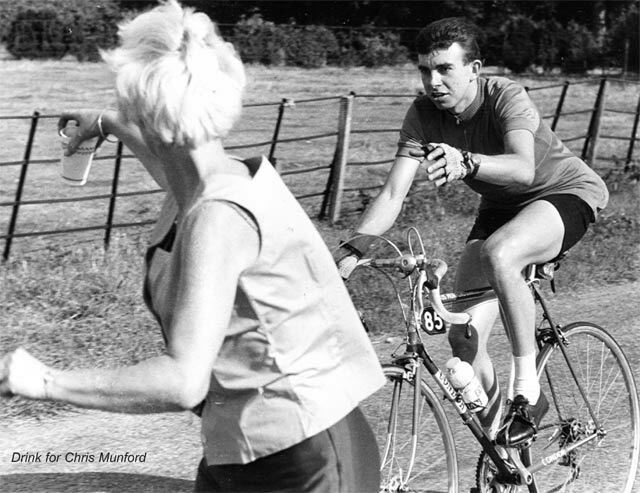 The achievements of Beryl Burton are so impressive it is hard to know where to start. 25 times consecutive BBAR holder. 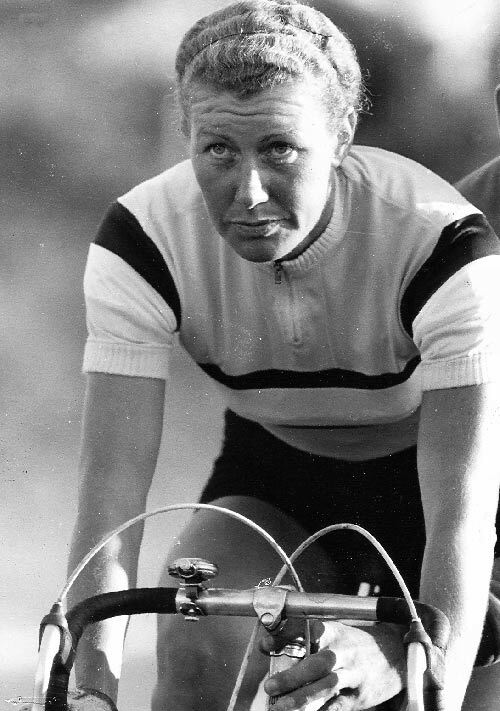 Once held both men and women’s 12 hour time trial record with 276 miles. 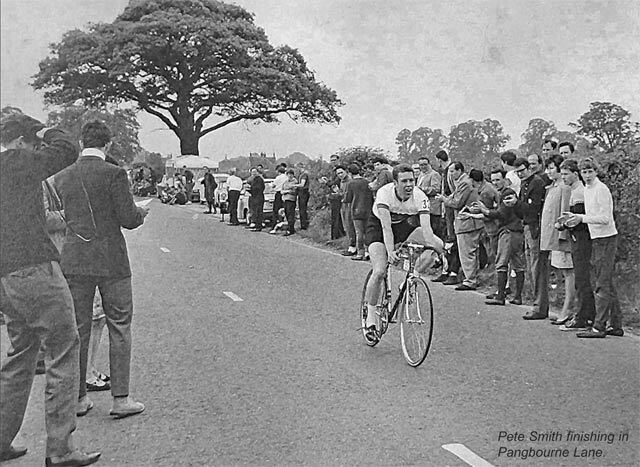 Ian Cammish was a supreme 50 and 100 mile time triallist. Dominating the BBAR in the 1980s. 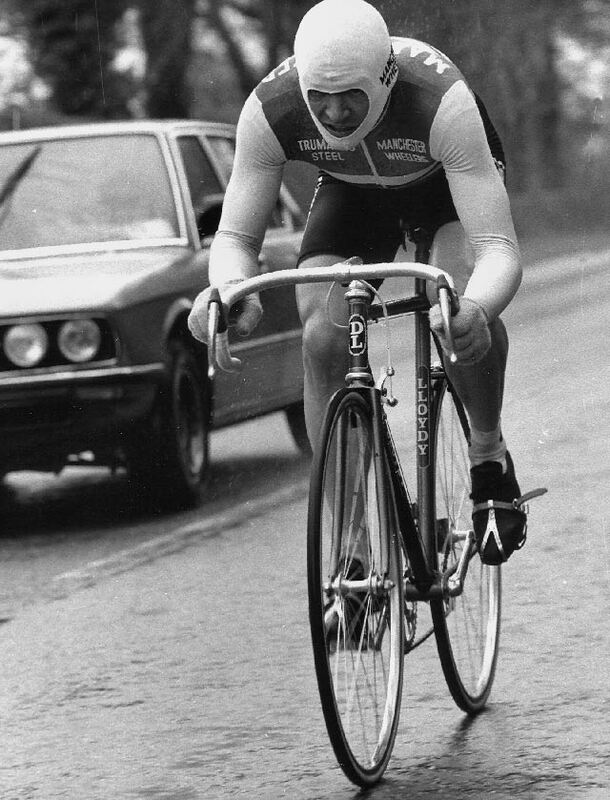 Ian Cammish won national 100 mile title 1980 – 83 and 1985-89. 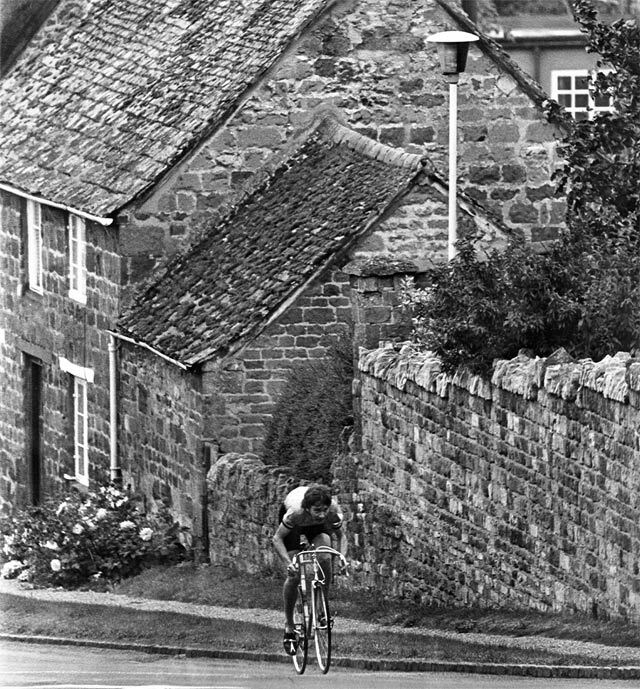 Glen Longland one of the few who could compete with Ian Cammish. National 50 and national 100 champion. 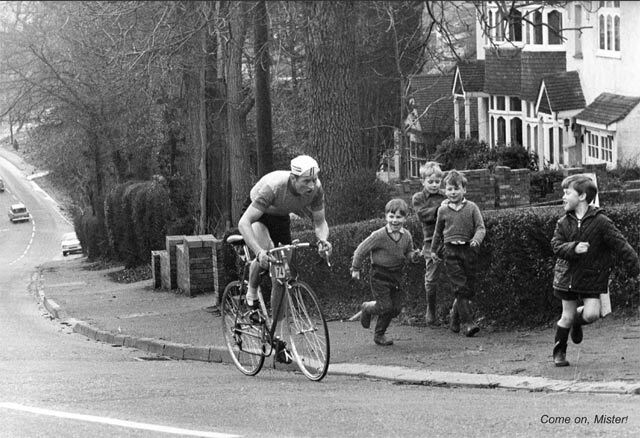 Sean Yates began his cycling career doing domestic time trials, winning the National 25 mile TT in 1980. 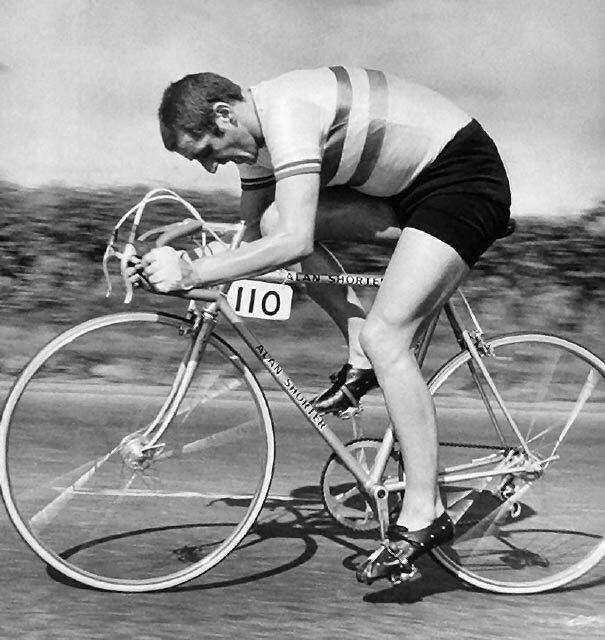 He went onto be a Tour de France star, becoming first British rider to win a time trial in the Tour de France and wearing the yellow jersey. 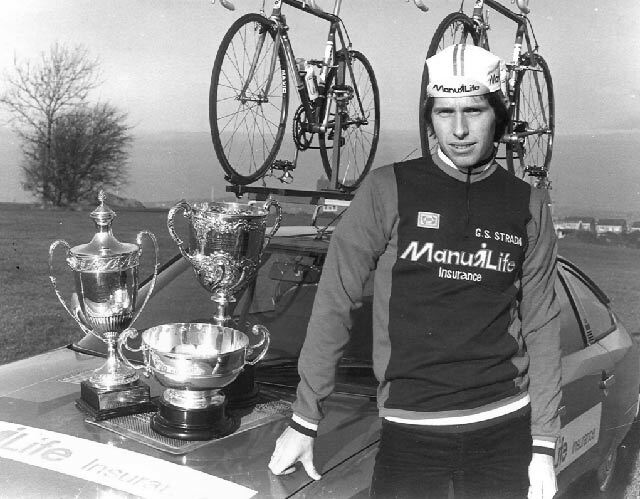 Despite being a top roadman, Phil Griffiths won the BBAR 5 times in the 1970s. Who needs a fancy HQ. A ‘made do and mend’ changing room. 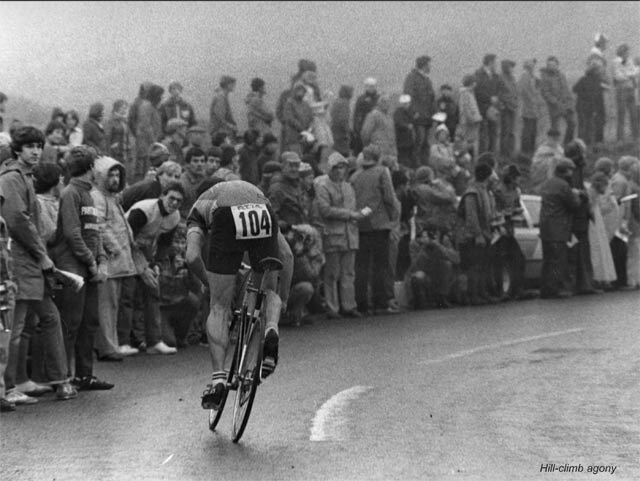 The loneliness of a long distance time triallist. 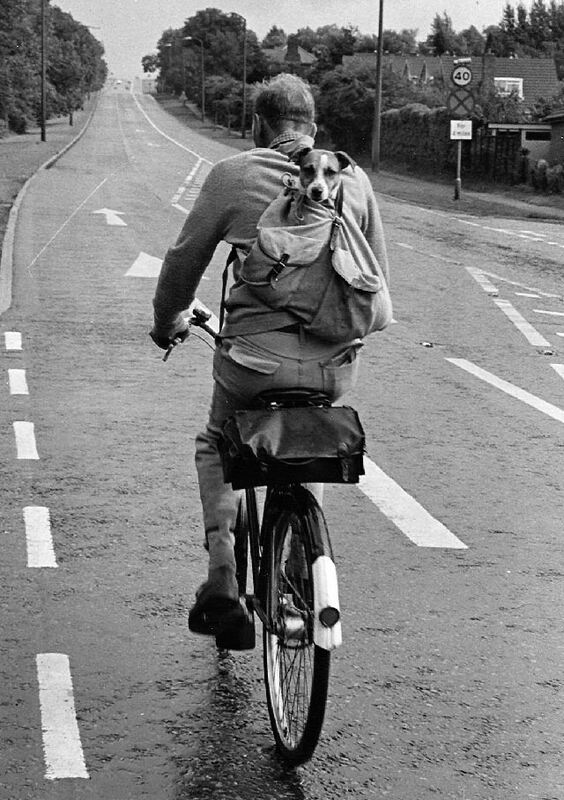 A companion for the ride. It’s hungry work this time trialling. The ‘dead’ U-turn in the middle of the road. Presumably before the days of traffic counts. No points for style, but plenty for effort. 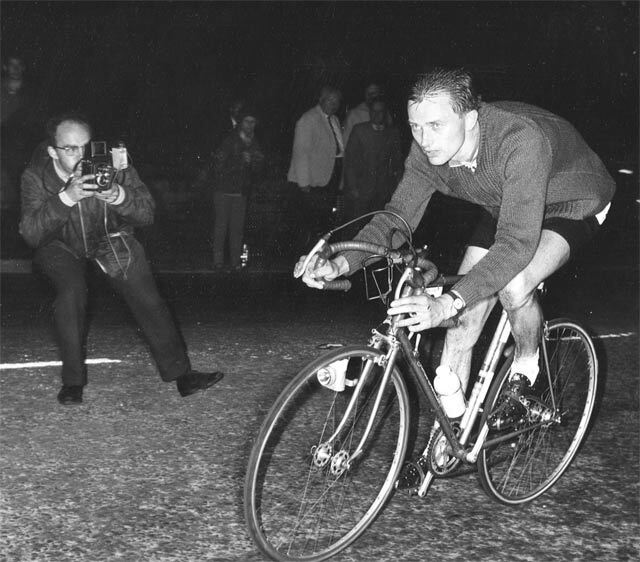 Ian Dow (national 24 hour competition record holder), doing a turn. Oops! 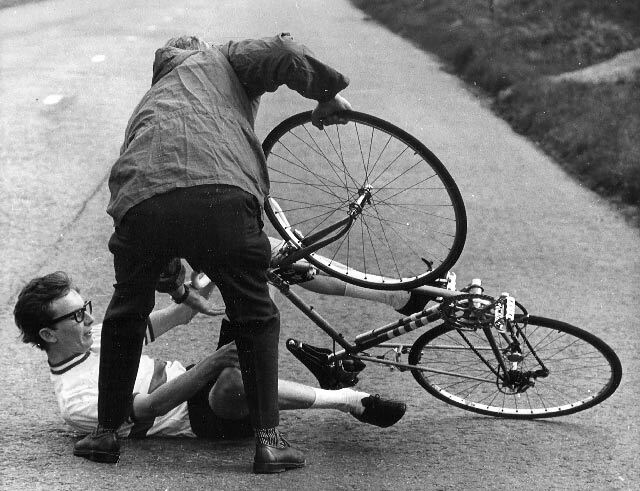 A turn which went wrong. 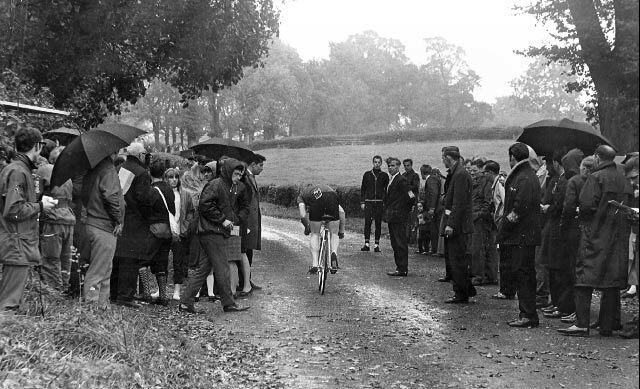 Jon Baylis passing the chaps having a nice cup of tea. 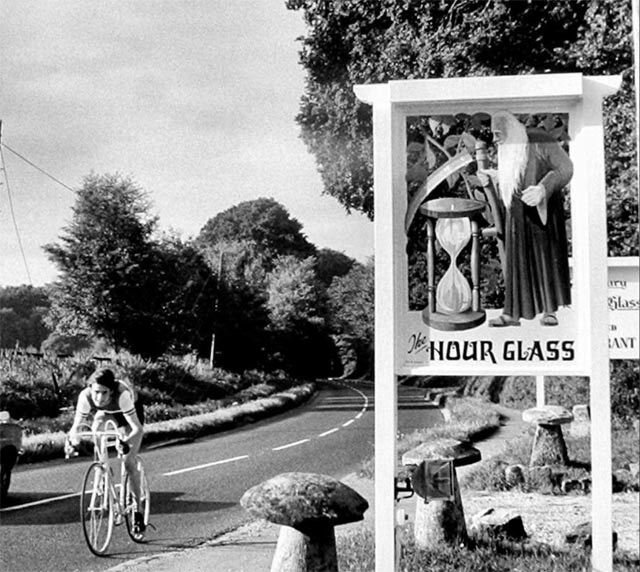 The sedate world of time trialling. 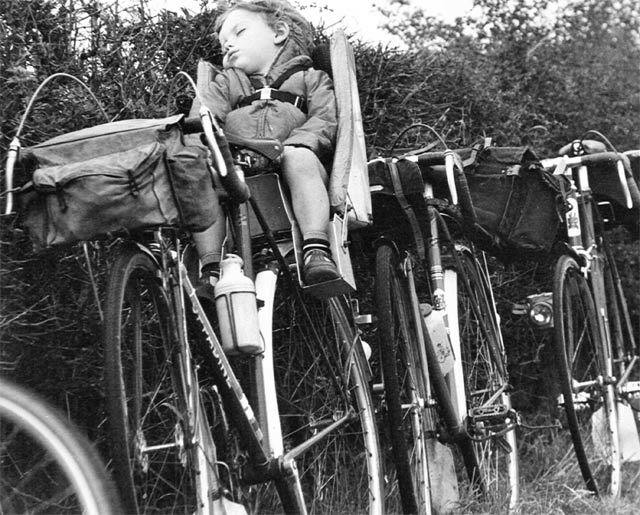 Wake me up when it’s time to race. Marshalls showing the way to go. 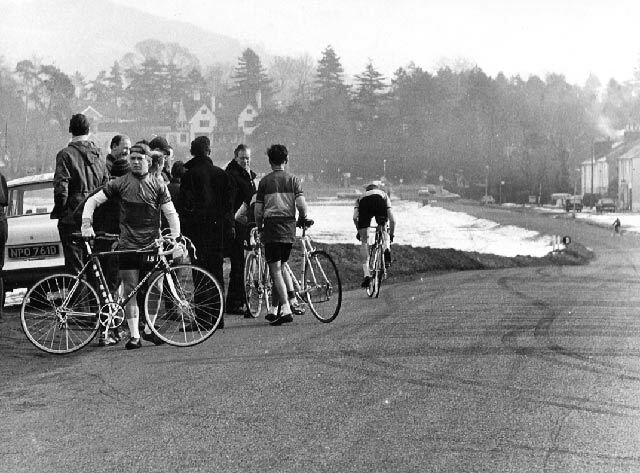 Before ‘health and safety’ dished out the high vis vests. Have they escaped from a Monty Python Sketch? 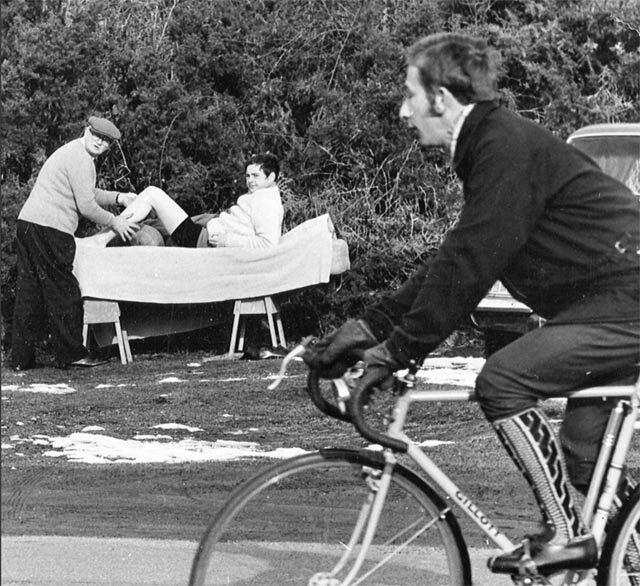 Notice the excellent socks and the massage by the side of the road. Sometimes things don’t always change for the better. Shillingford Bridge. 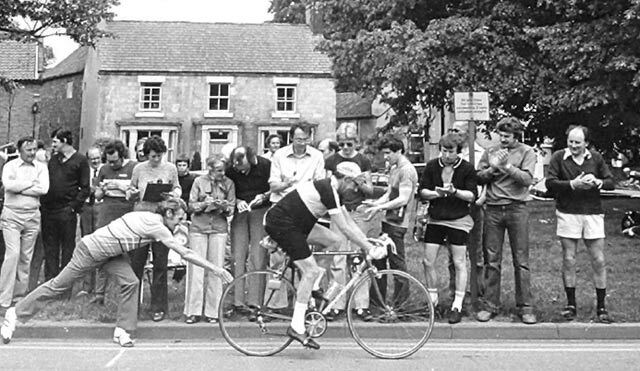 This may well have been during the famous Bath Road 100 mile TT. 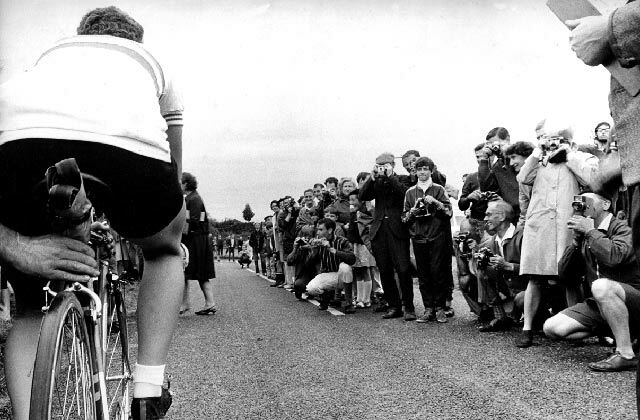 More cyclists pass Shillingford Bridge. John Woodburn riding at night. 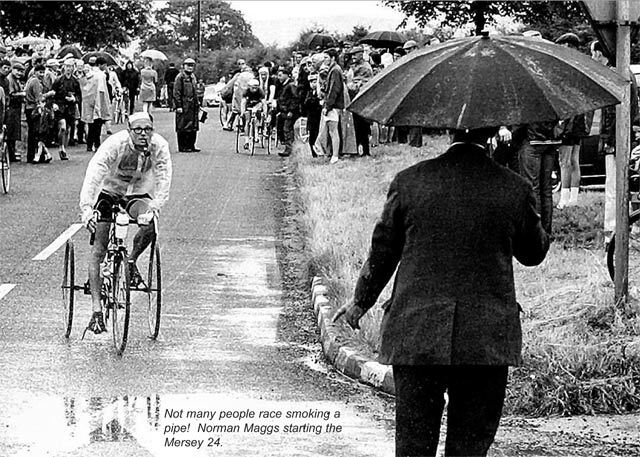 The famous Norman Maggs smoking a pipe as he begins the Mersey 24 hour time trial. 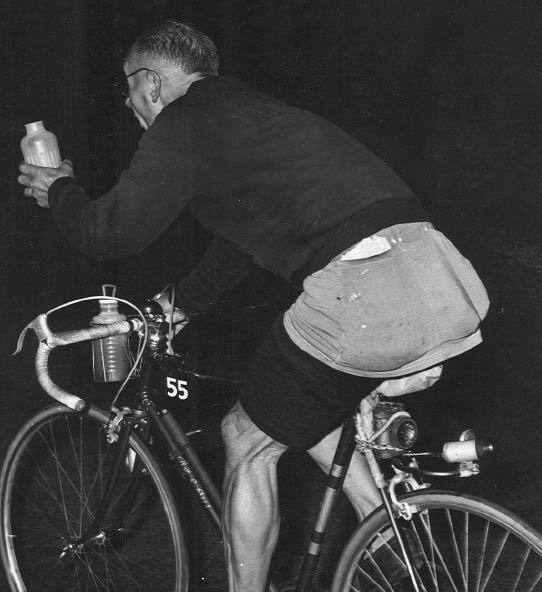 Taking a bottle at night. 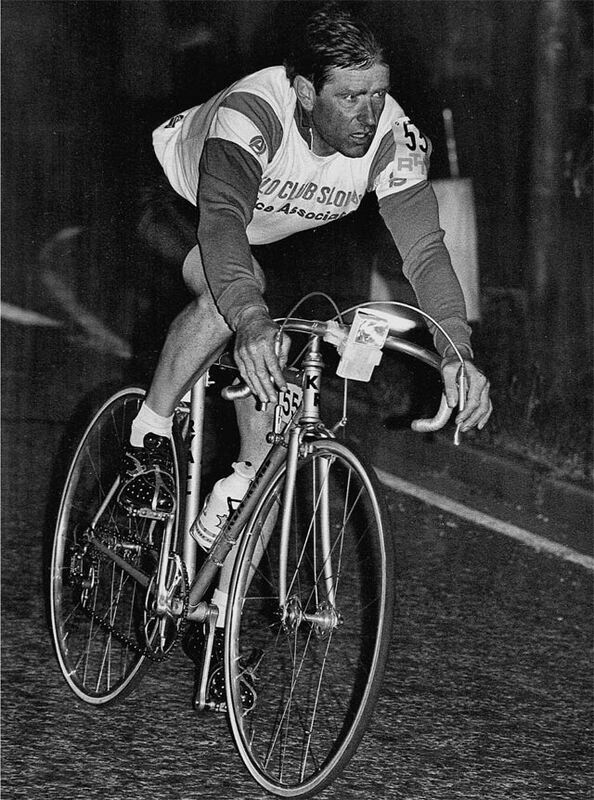 Granville Sydney (Huddersfield Star Wheelers) 6 times national hill climb champion. 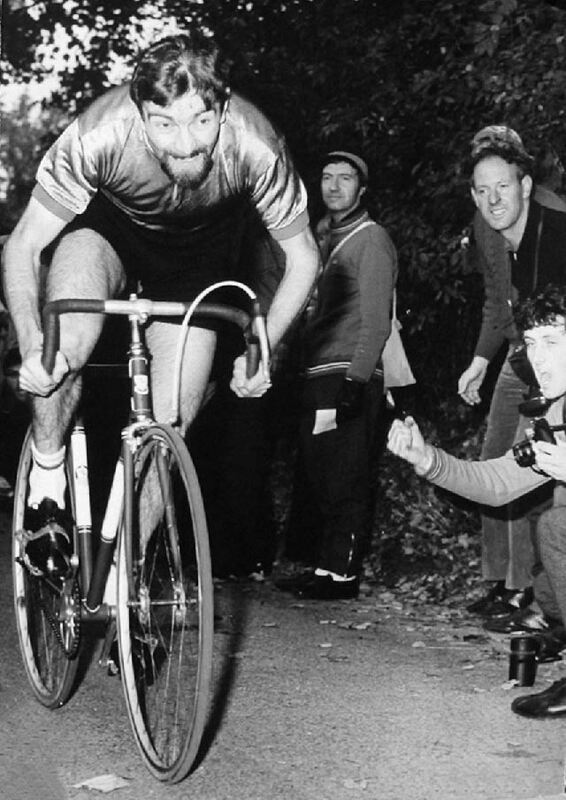 Note he never shaved his legs. 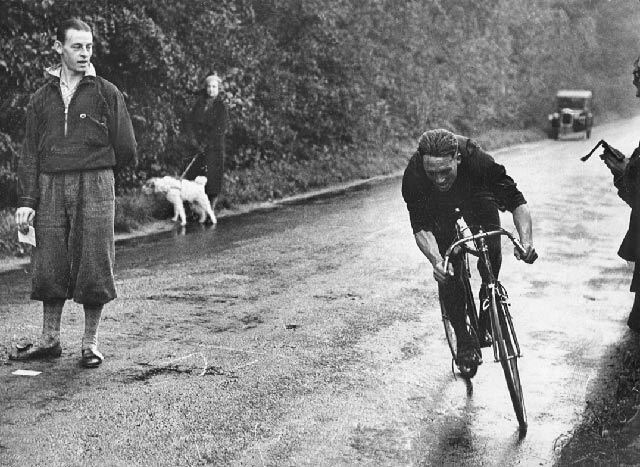 How to finish a hill climb. 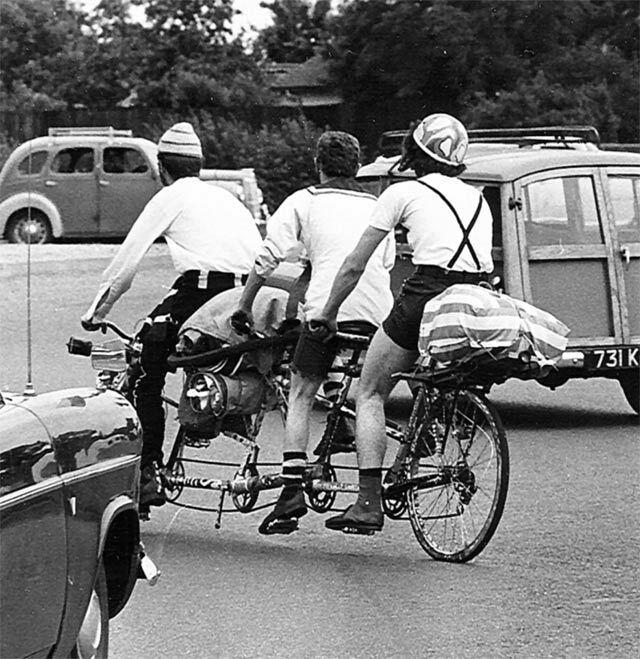 A tricycle on the way to Barrow. 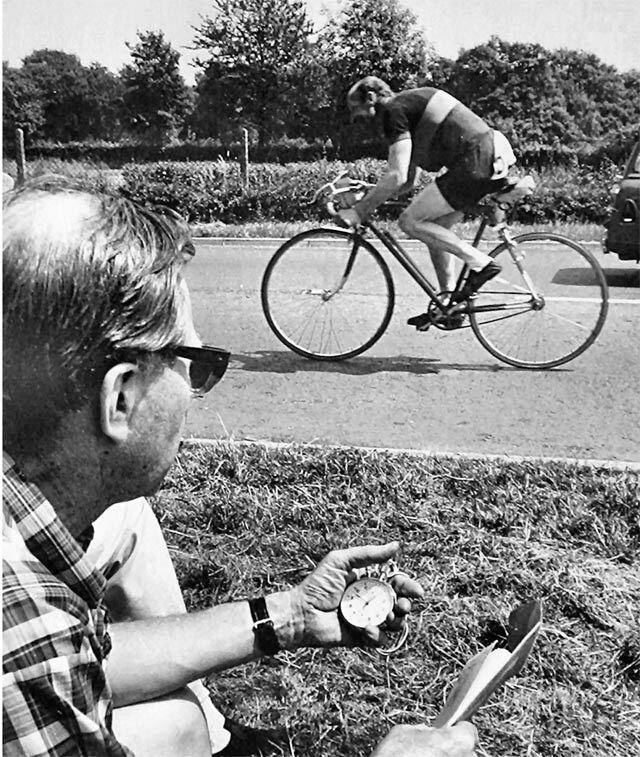 Who says time trialling isn’t a spectator sport? 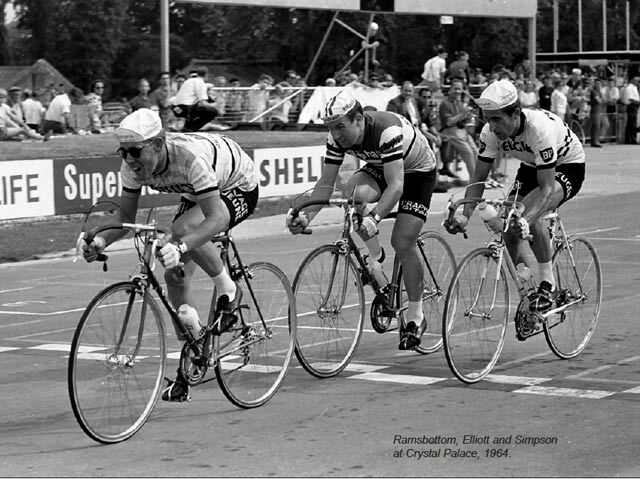 Tom Simpson on the right at Crystal Palace. 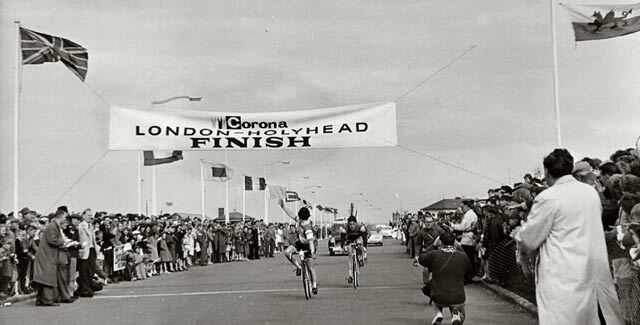 London to Holyhead was an important one day race. 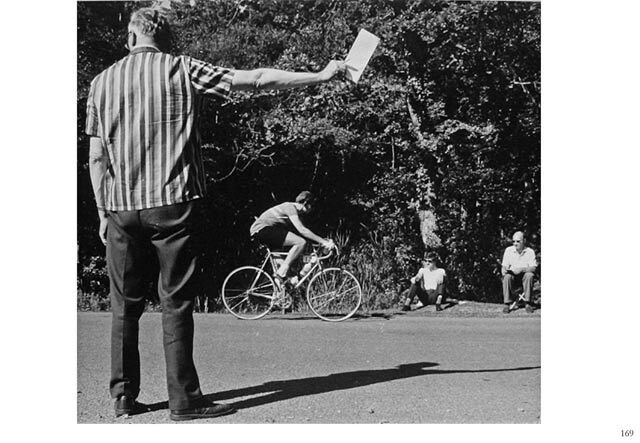 All over black was once the regulations for time triallist. 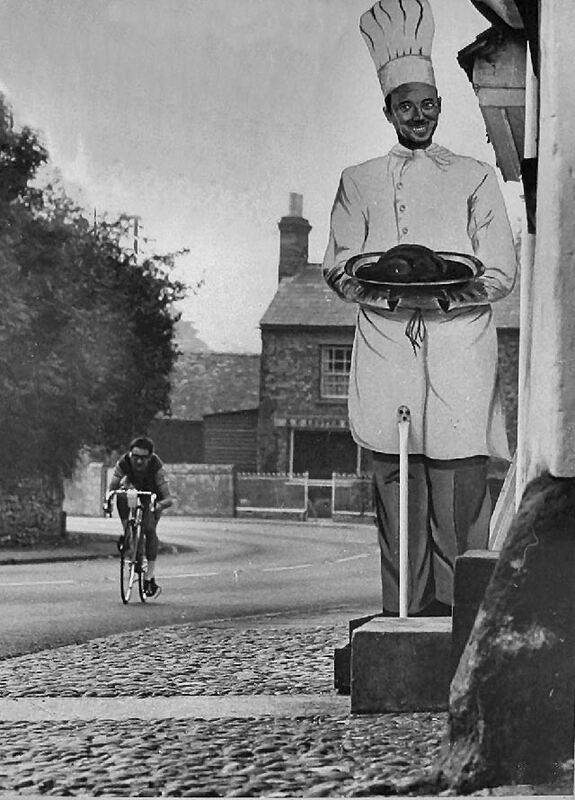 Looks like a bell on his bike. 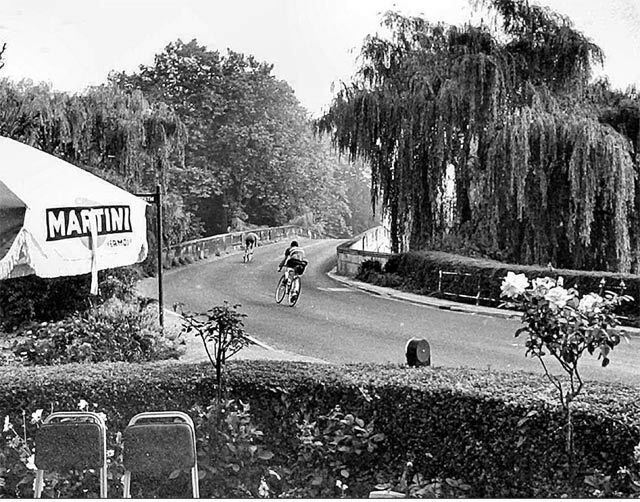 Finish in Pangbourne Lane, a popular road for the flatish A4 courses. Taking a drink on the move. 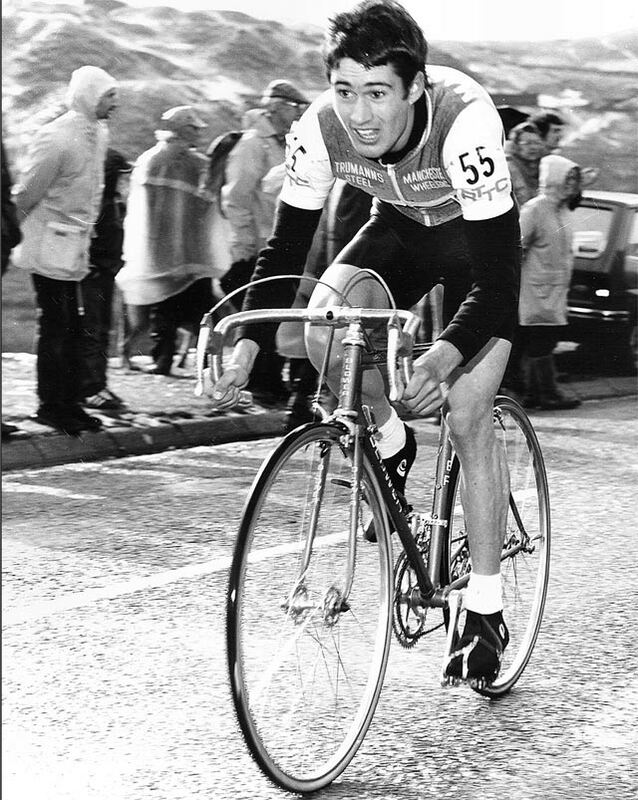 Daryl Webster on Horseshoe pass. 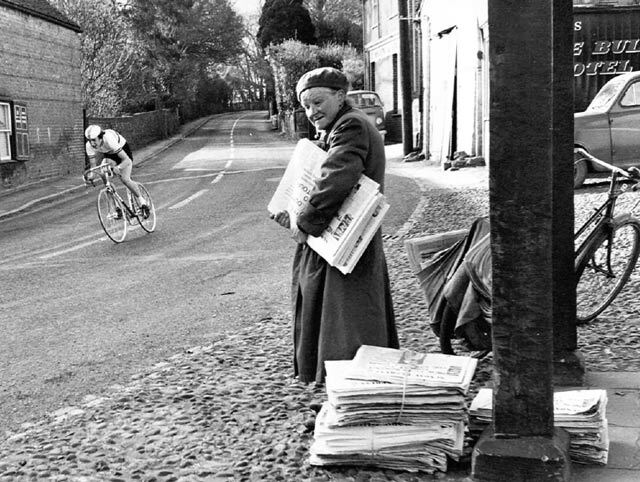 Photographs by Bernard Thompson. 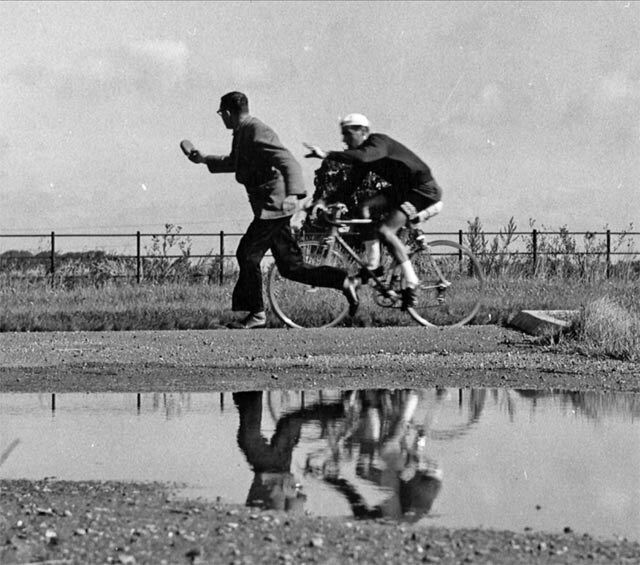 Thompson was born in Southfields, West London in 1924 he was a freelance photographer, particularly interested in time trials. 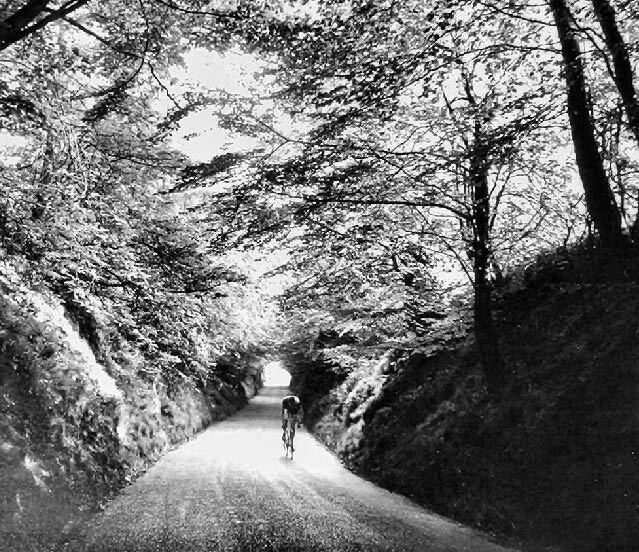 Lovely pics – how great everything was back then before millions of cars. nice, what was your dad’s name? 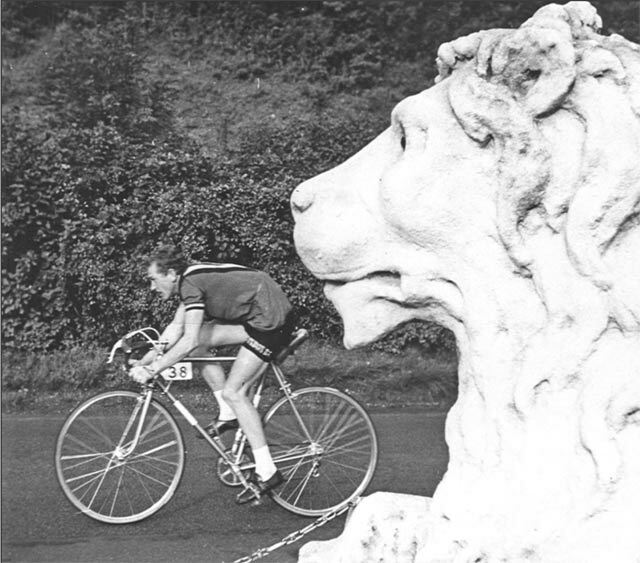 John Ormrod – he would have been in Nelson Star Cycling Club in Pendle in the 50s & 60s. 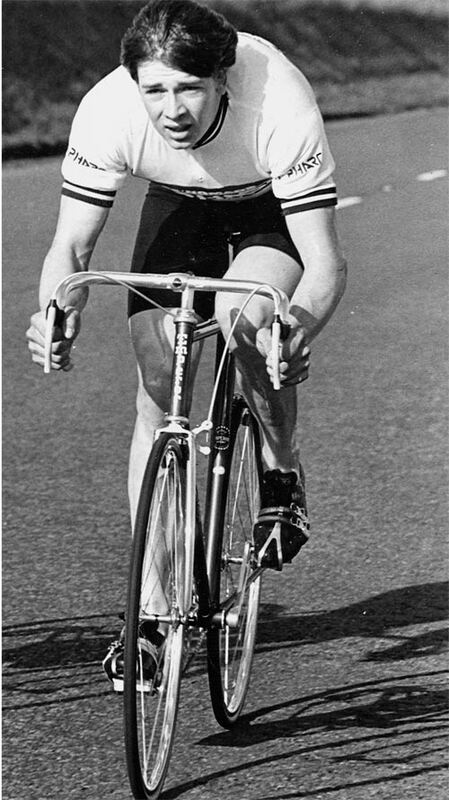 Alas by the time I was here, his cycling days were long behind him & I didnt start cycling as an adult until after he passed away. 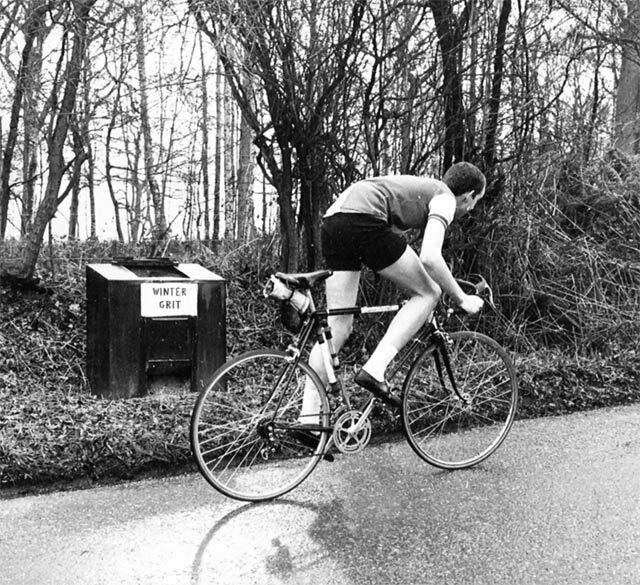 My uncle says he has unearthed some of his time trial certificates, so I need to pick them up 🙂 Wish we had more photos like these kicking about. 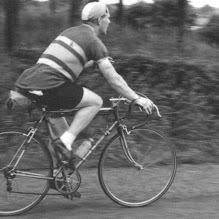 Cliff Smith – winner of 18 ’24’ hour time trials and past holder of the Edinburgh to London place to place record. 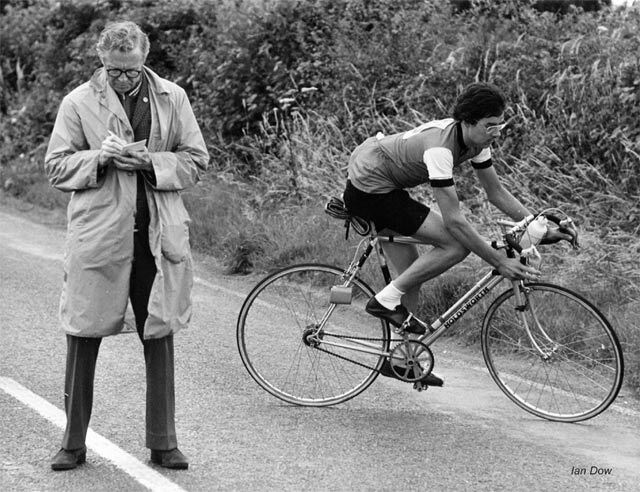 What a lovely surprise to see my dad in your classic photos of Bernard Thompson. 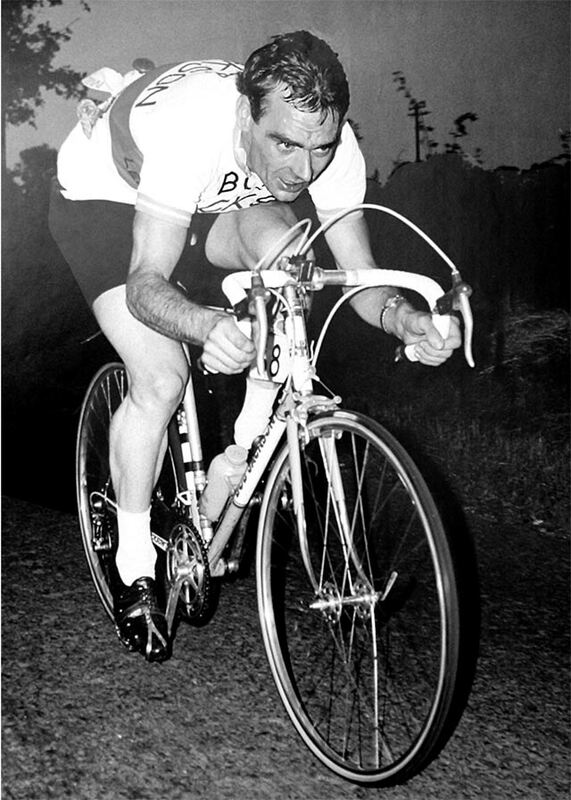 I do hope that he is still remembered by some of your readers – he would have been 93 next month. 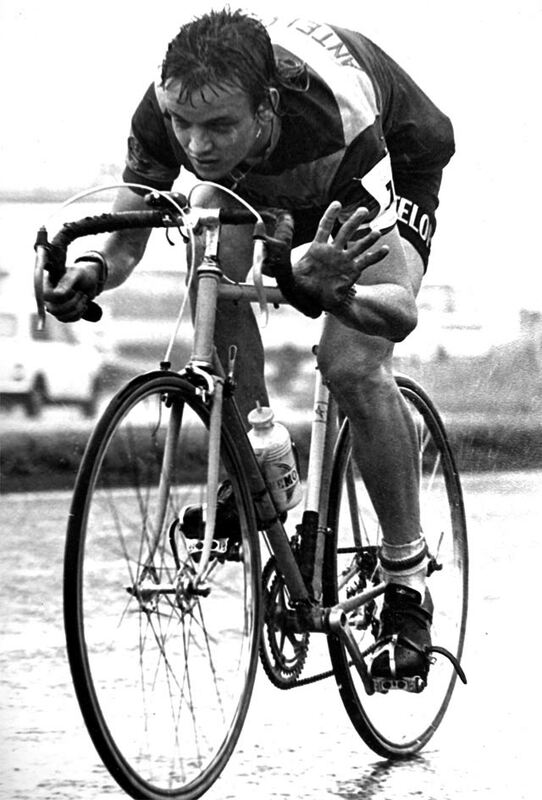 Such a tragic shame that he died aged 71 after an accident whilst out training. 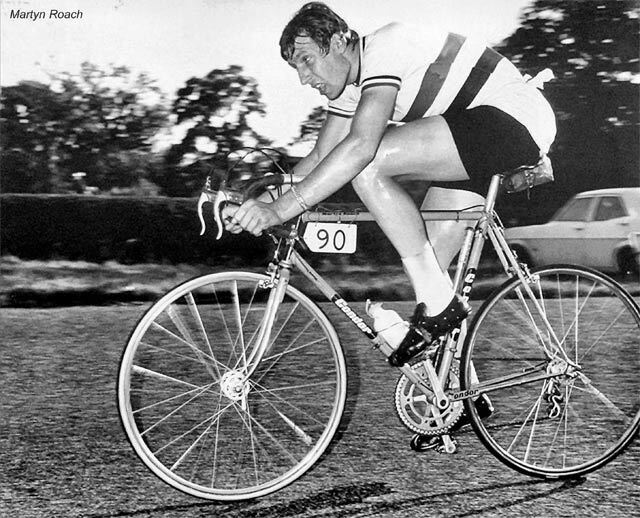 He was still very fit and rode his bicycle daily and still rode in time trials. 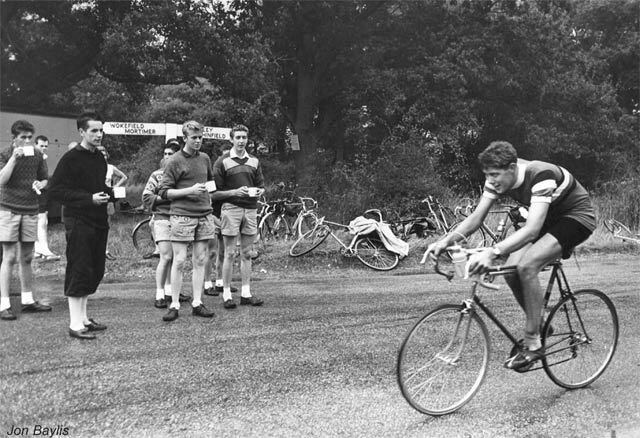 Cliff is the guy riding the hub geared bike in the “Old fashioned timekeeping” photo. 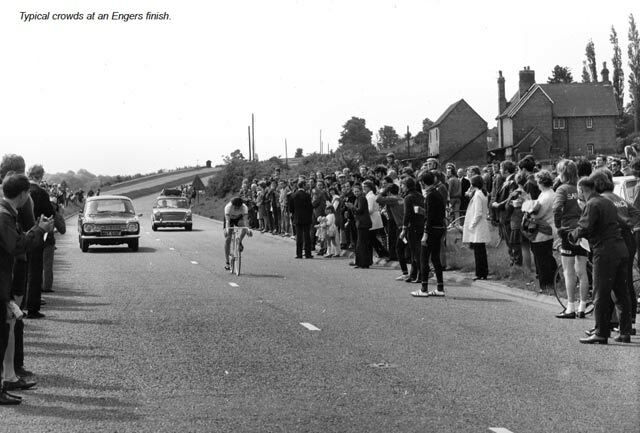 This would probably have been taken on the finishing circuit of the North Road 24. 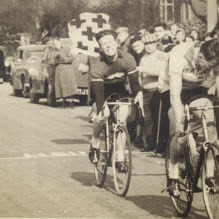 Hi Cliff Smith was my Grandad and I am very interested in any information or photos anyone may have of his cycling days . 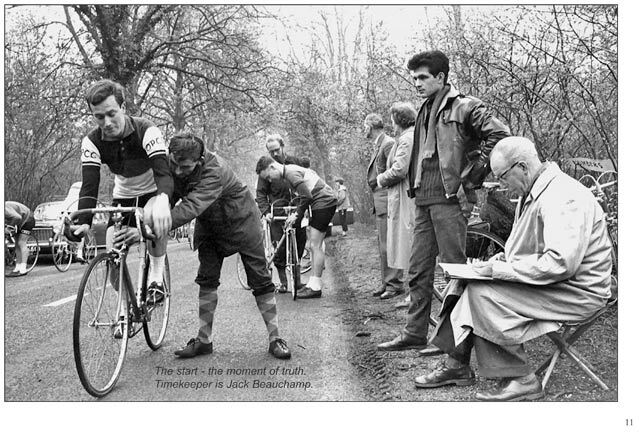 I saw your comments about your father, Cliff Smith, and Mr Wilcox’s request for information about his grandfather, by sheer chance whilst attempting to research information about Cliff for a short article I am trying to write about your father for the Veteran Cyclists Club magazine , The Boneshaker. If there is some way I could get in touch with you, or you with me I’m sure I could present some new info about him other than that I have gleaned from the Internet. First of all my sincere apologies for not replying to you soon but I have only just read your comments. Yes, I would love to help you with your research (that is if its not too late by now) and would be more than willing for you to contact me. 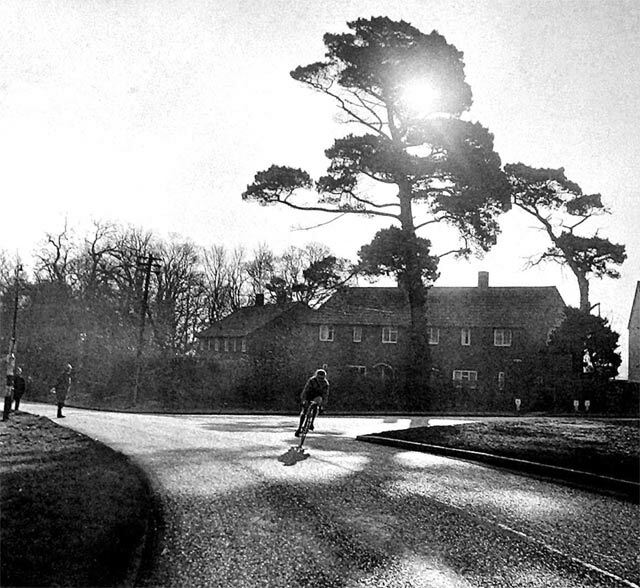 I was approached a while ago by a gentleman who was making a documentary for TV to be shown on BBC4 about the history of Raleigh, and of course anyone who had connections either by working at Raleigh or riding a Raleigh bicycle or had memories connected to Raleigh – I think it is due to be shown sometime in the New Year so keep a look out! 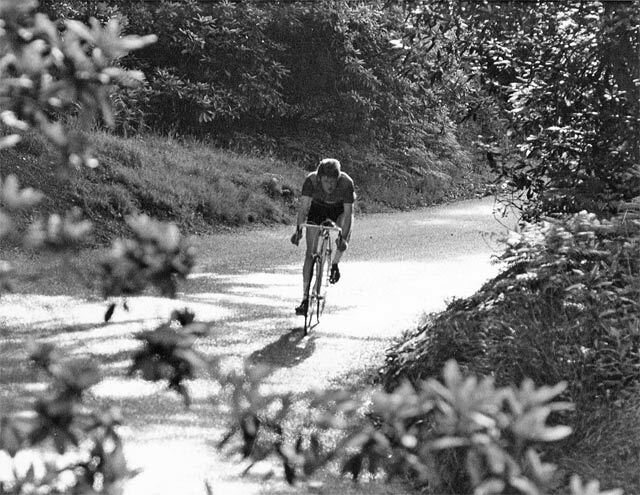 Have you been on the website ‘I worked at Raleigh.com’ – I had some input for that, and they used a lot of photos of Cliff and other racing cyclists that I have. Anyway, look forward to hearing from you and once again apologies for the delay. 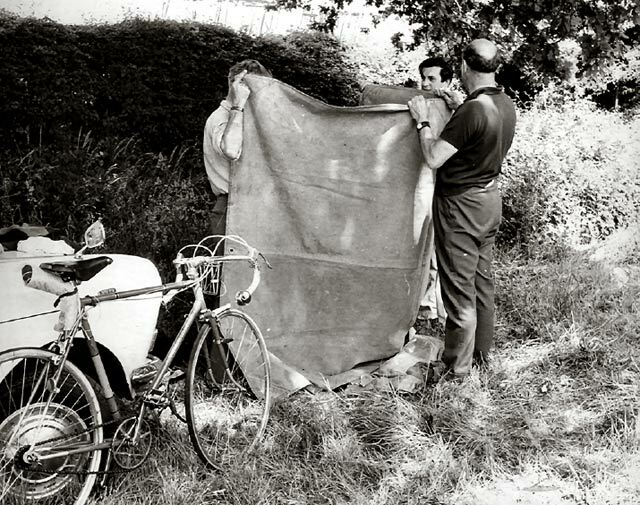 The rider in the photo immediately above the comic triplet shot is Eric Tremaine of the Leicestershire Road Club. Eric was a terrific long distance rider, particularly on a trike. 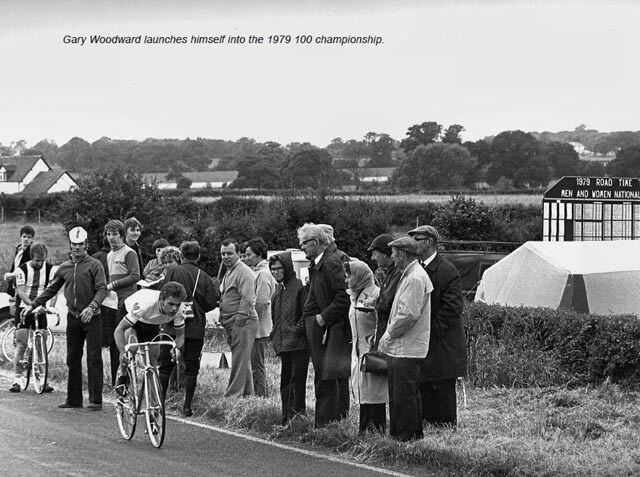 He broke the 24hrs trike record, for which he was awarded the Bidlake Plaque for that year. 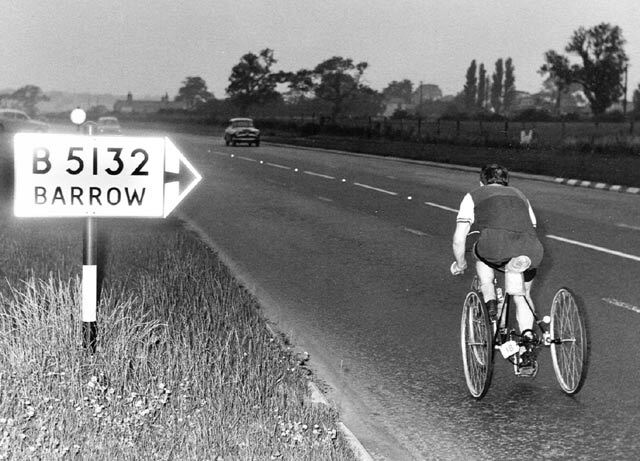 He later went on to break the Land’s End to John o’Groats trike record. Eric now lives in Canada. 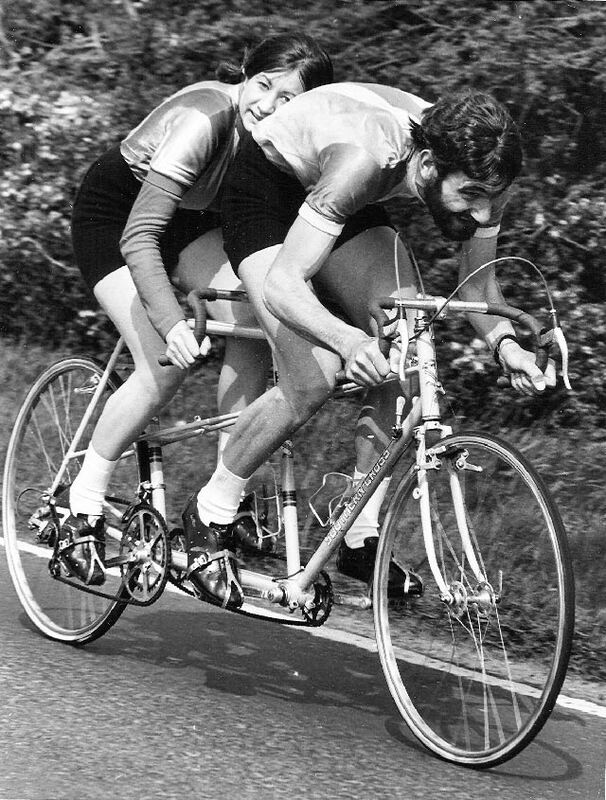 The tandem shot is myself Dave Binks, and my ex, Barbara, both members of the Leicestershire Road Club, in a tandem 30 near Cambridge in the late 1970s. 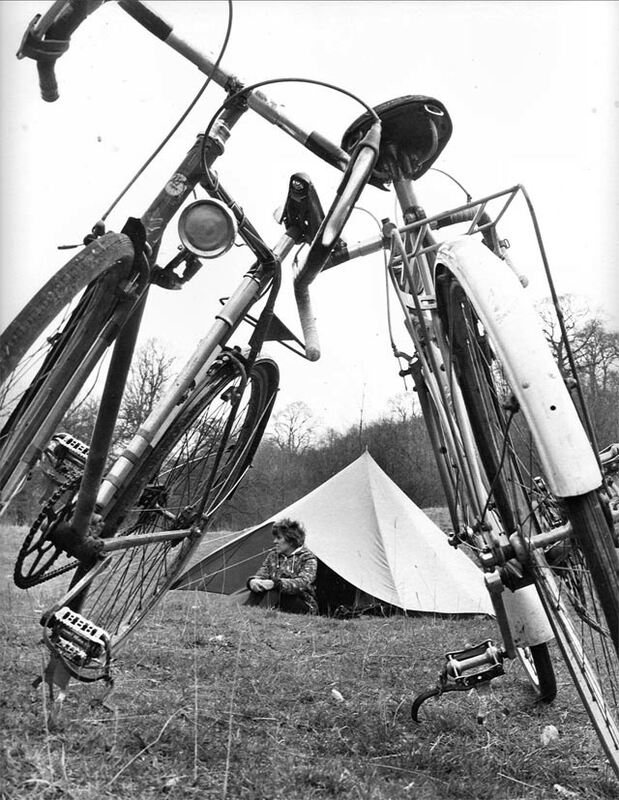 The triangles camping shot is of Ethel Thompson, Bernard’s wife. 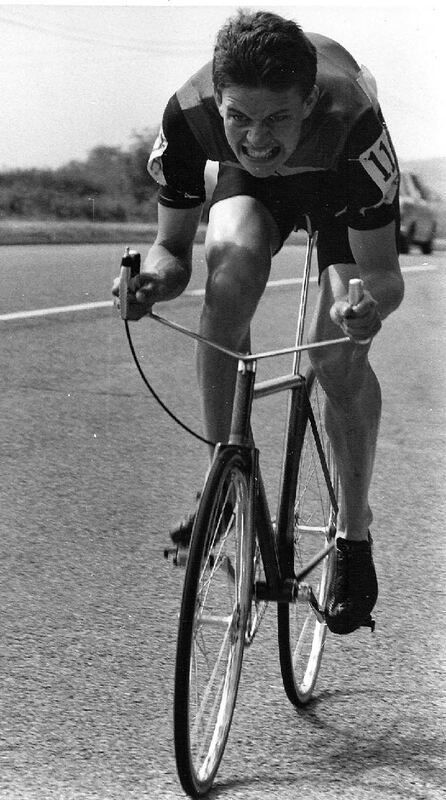 I always convince myself I’ll never be a good trials rider because of my broad shoulders and chest but looking at Sean Yates, he was as aerodynamic as a breeze block! Just pure power! 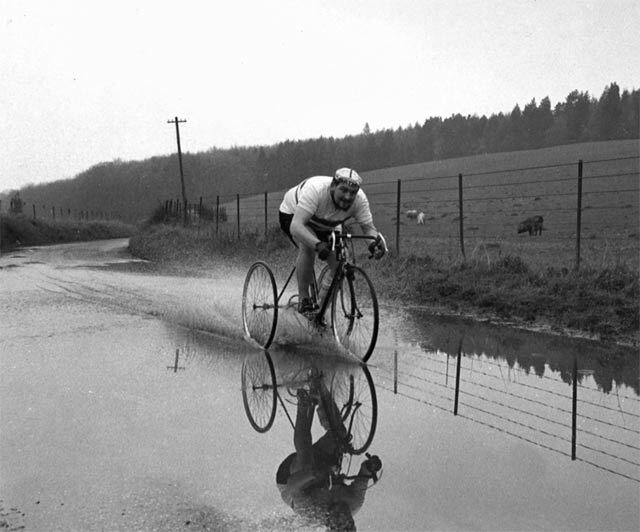 Fantastic action photos of some real class riders. 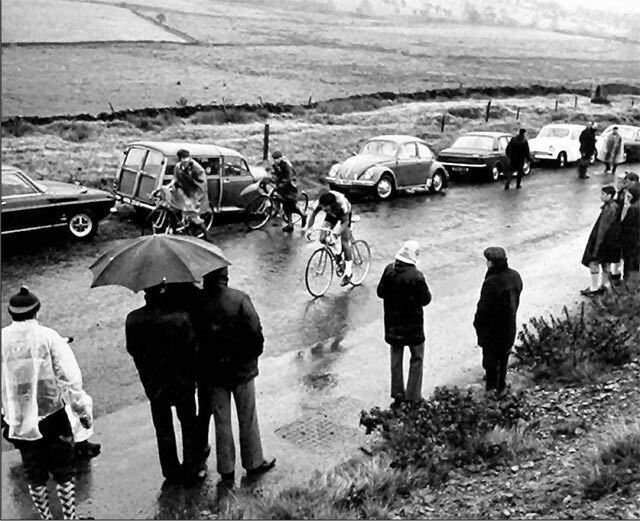 The bikes, many so streamlined and you can almost hear the tubs. 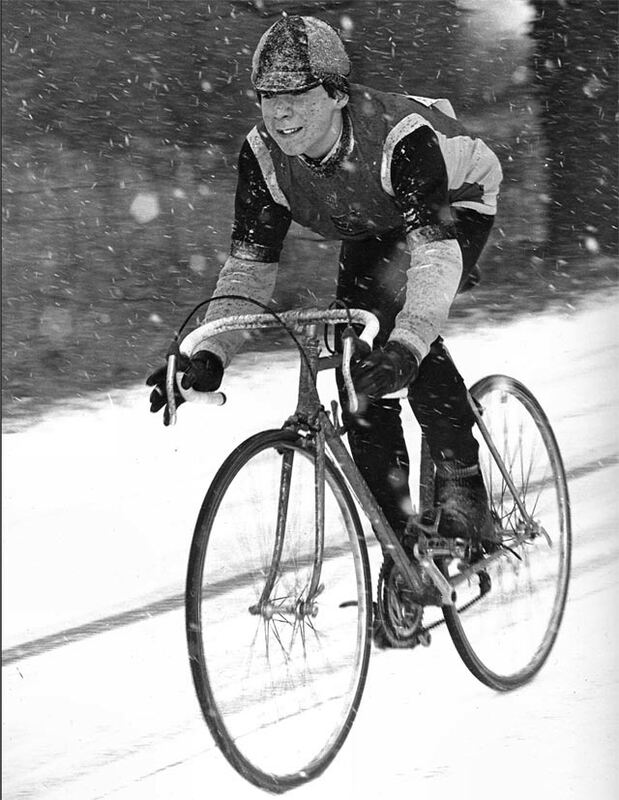 Compared with some silly compact and triple chain wheels, early STI shifters and over sized head tube carbon frames and mini tool kits, what happened! All down to marketing? 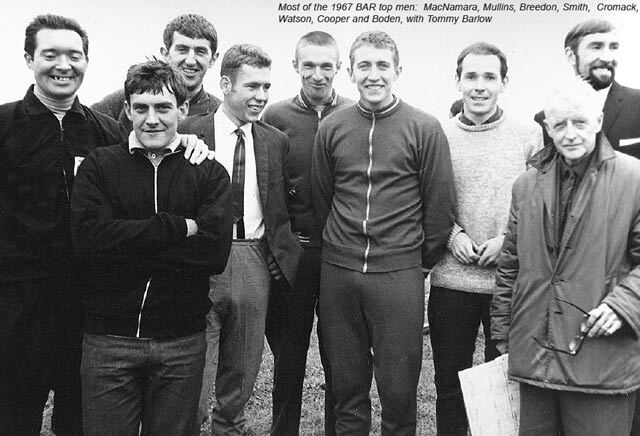 Interestingly the 62 ? 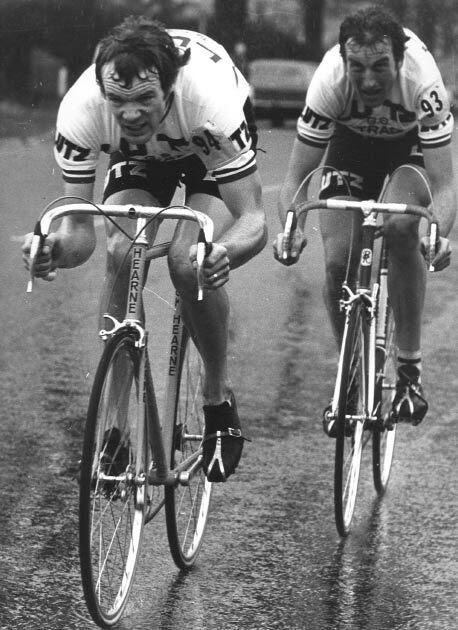 Catford Hill Climb team event was won by Featherstone Road Club with Baz Lycett, now in Canada – Len Crayson and the Late Mike O’rourke who moved south in the early 80’s. 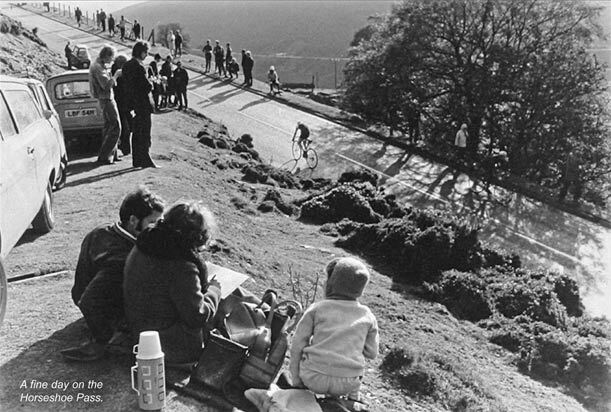 Not bad day for a small mining village team coming 200 miles from Yorkshire to Catford. 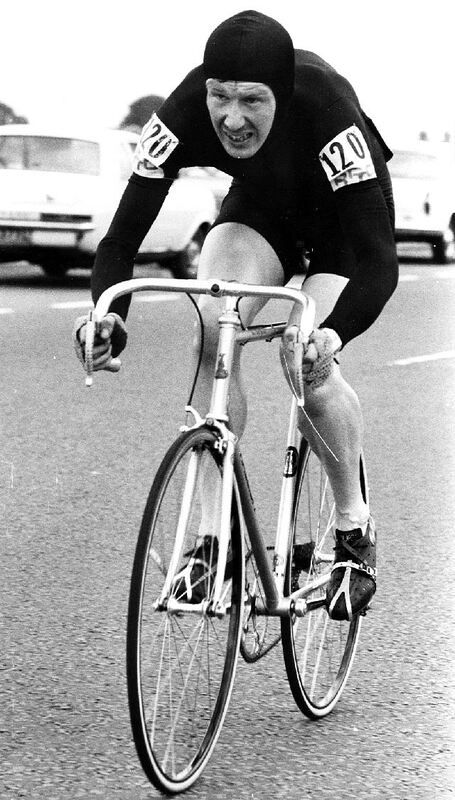 Good afternoon, I have just heard of the passing of Norman Maggs. 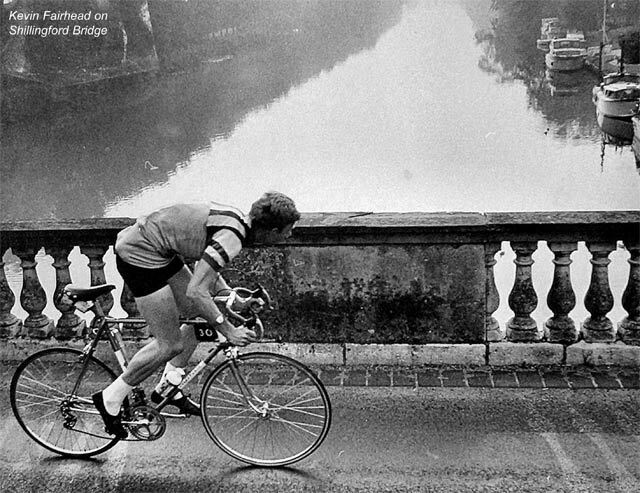 You have a photo of him starting the Mersey 24 under full steam. Please could I have permission to copy for the Tricycle association website announcement. 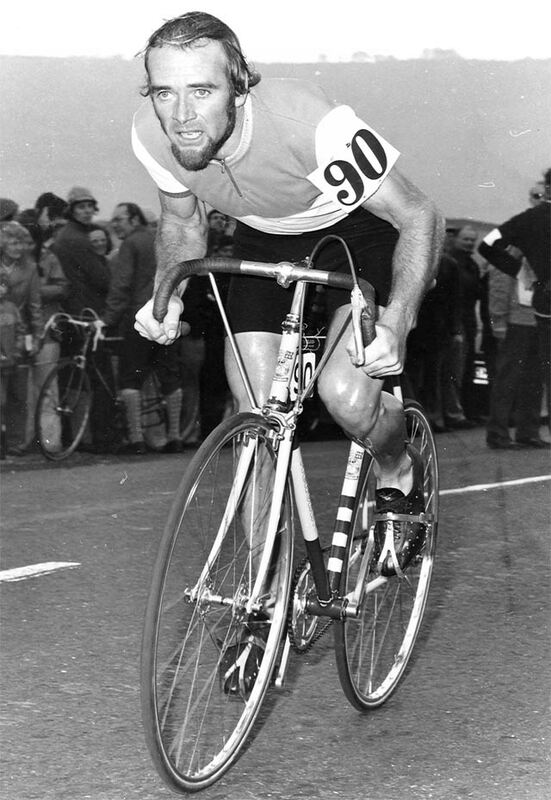 Sadly I do not yet have more details than that he had recently been admitted to Hindley Hospice after a long illness. Great photos, thanks for putting them up. 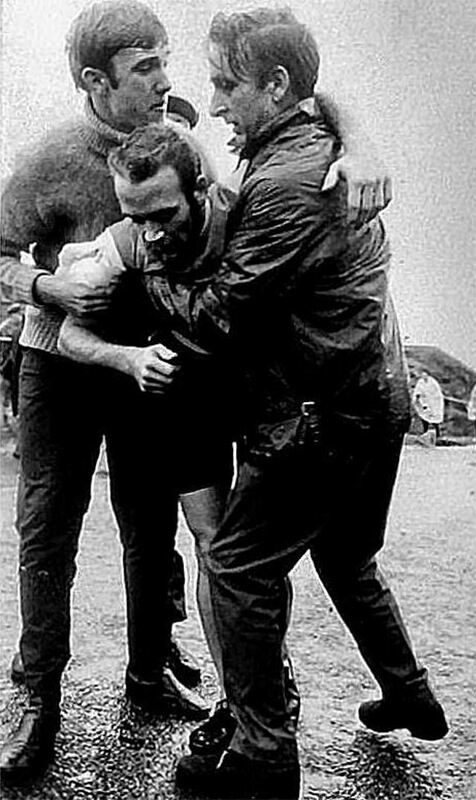 If you are inclined to name him, the 24 Hour rider with the jumper is Eric Mathews. Wonderful battles with Nim Carline at 12 and 24 hour. 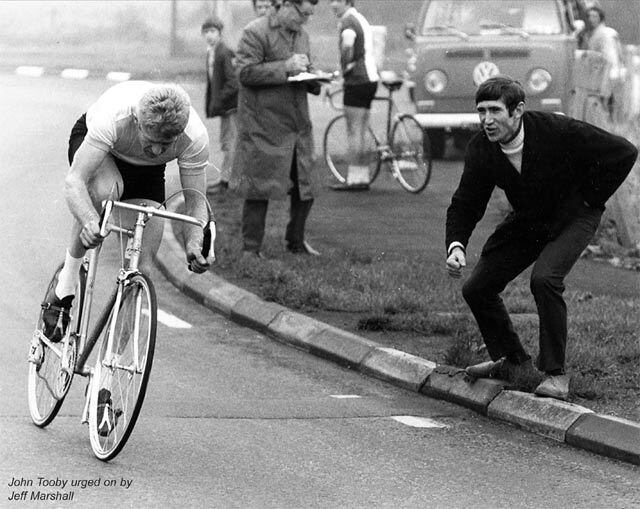 From memory Nim always started fast, Eric rode like a metronome, (with or without the jumper!). 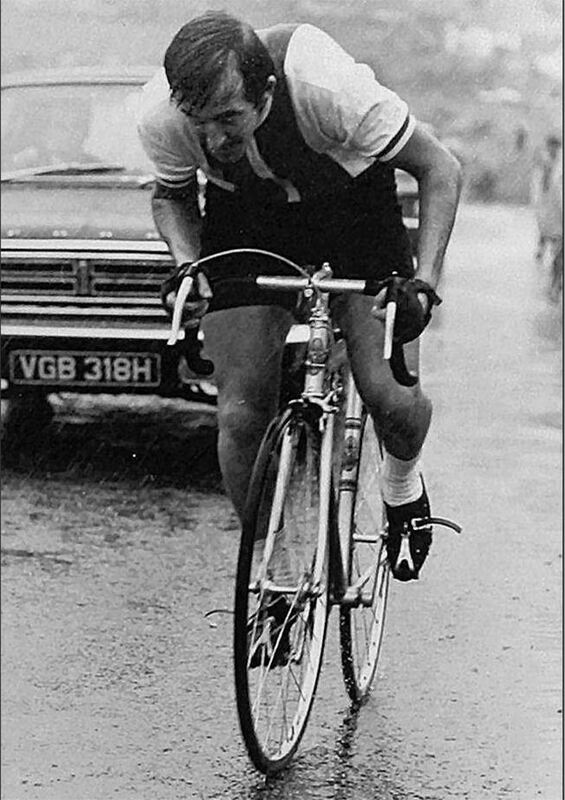 I am sorry to tell you that George Betti’s passed away on the 5th December 2016. He was a great friend of mine. He moved to Ashbourne in Derbyshire in 2000. 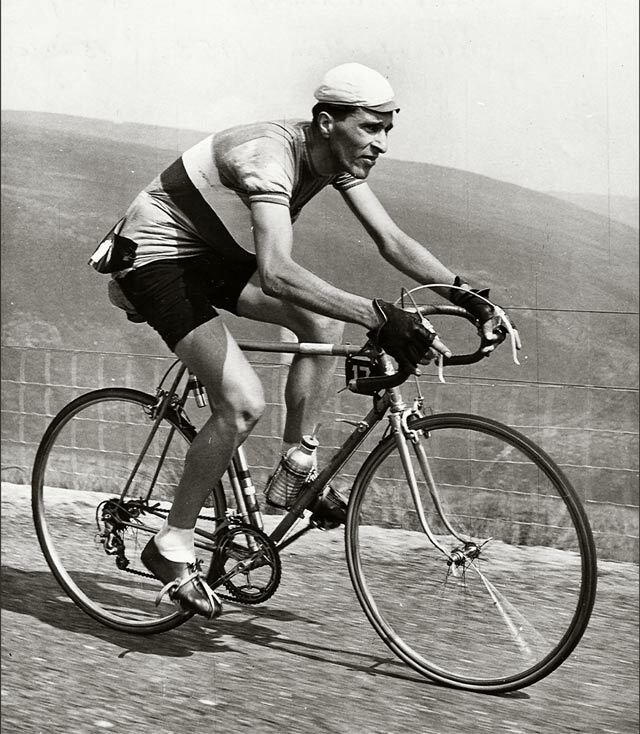 Contre la montre, French = Against the clock. 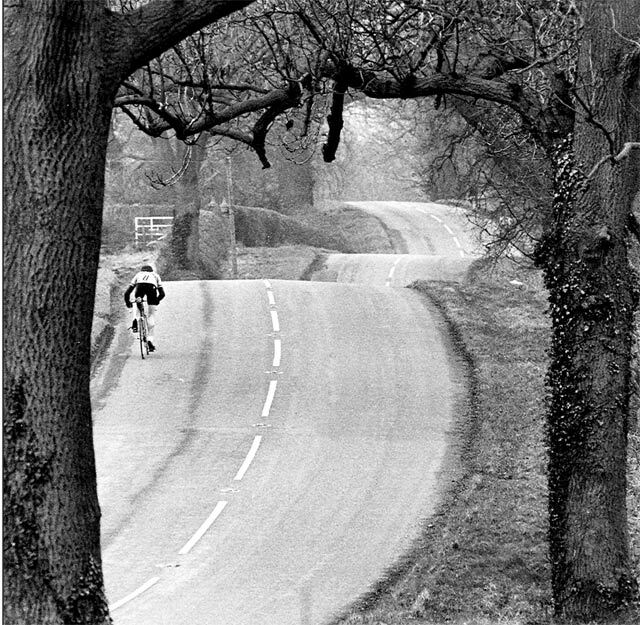 Great photos, the third one in the series is the start of the East Surrey Hardriders junior 15, I did it once in ’67 aged 15 I remember it was a very cold morning, indeed the photo above may have been taken on the day. 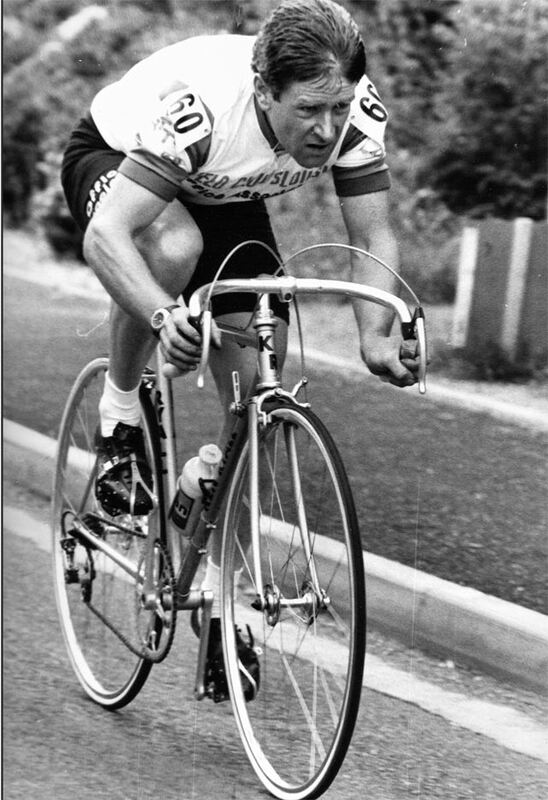 My last rides were in 99 and was often thrashed by Alf Engers.